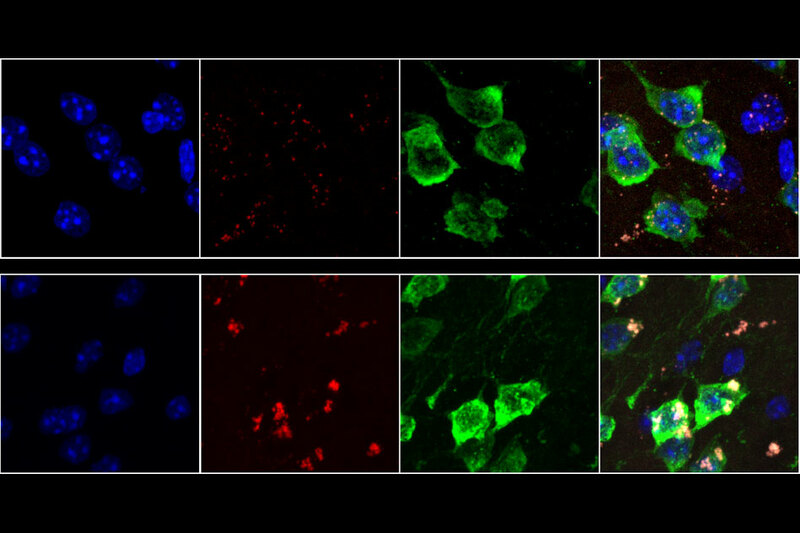 The MIT team found that the activation of oxidative stress response pathways was higher in D1 neurons compared to D2 neurons, suggesting that they are indeed undergoing more oxidative damage. The researchers propose a model for the production of isolated 3′ UTRs involving an enzyme called ABCE1, which normally separates ribosomes from mRNA after translation is finished. This enzyme contains iron-sulfur clusters that can be damaged by free radicals, making it less effective at removing ribosomes, which then get stuck on the mRNA. This leads to cleavage of the RNA by a mechanism that operates upstream of stalled ribosomes. In human brain tissue, the researchers found that the amount of 3’ UTRs gradually increased with age, which fits their proposed model of gradual damage by oxidative stress. The researchers’ findings and model suggest that the production of these 3′ UTRs involves the destruction of normal mRNAs, reducing the amount of protein produced from the affected genes. This buildup of 3′ UTRs with ribosomes stuck to them can also block ribosomes from producing other proteins.